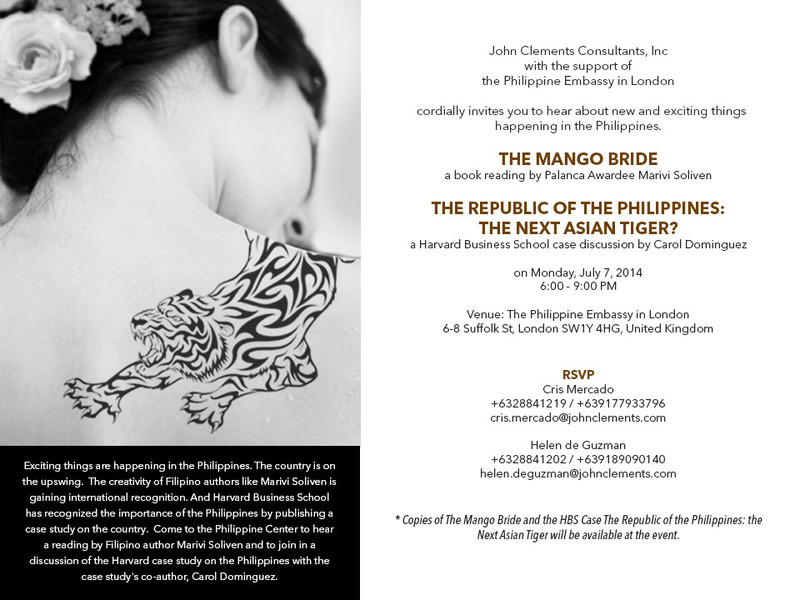 Not the Queen, nor even Bonnie Prince George and his glamorous mother, but the Filipinos in London. In her quest to entice more expat Filipinos to return home and help participate in the resurgence of the Philippine Economy, Carol Dominguez set her sights on the U.K., home to one of the largest Filipino communities in Europe. The United Kingdom is significant to me as well via my day job as an interpreter, because a significant number of calls I handle come from police stations in London and Manchester. I always enjoy interpreting for these overseas calls because English bobbies have such a courtly, cordial manner. The calls are usually interspersed with “lovely” this or “brilliant” that. Unfortunately most of these calls have to do with charges of domestic violence and assault. Even more disturbing is that although I translate for domestic violence issues on both sides of the pond, in the United States the persons needing translation are usually the Filipina victims of abuse. In England I more often interpret for the Filipinos charged with perpetrating the abuse. I haven’t figured out the reason for this difference but look forward to discussing it with the good diplomats at the Embassy of the Philippines, which is hosting the July 7 event. Good for you! Have a good time. May be in SD couple days wk after next.